Today I spent a few hours in a less than wild place – the ecology section of the Southern Denmark University library. Usually I like to explore the wonders of nature first hand, see and hear it unfold in front of me. Today, my adventure was different, less “up close and personal” and more “remote access” but very enjoyable. Browsing the shelves I picked up a book which at first glance appeared to be about hedgehogs (right). The title immediately caught my attention. I had never seen or heard of this strange animal (so I thought!) and was curious to find out more! 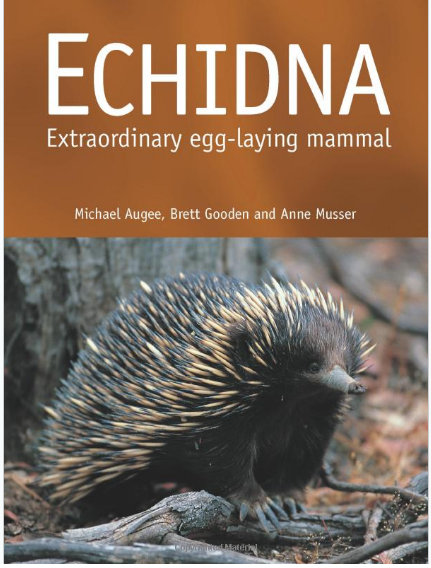 Echidna are small mammals with long snouts and small black eyes. The body is covered in spines and fur. 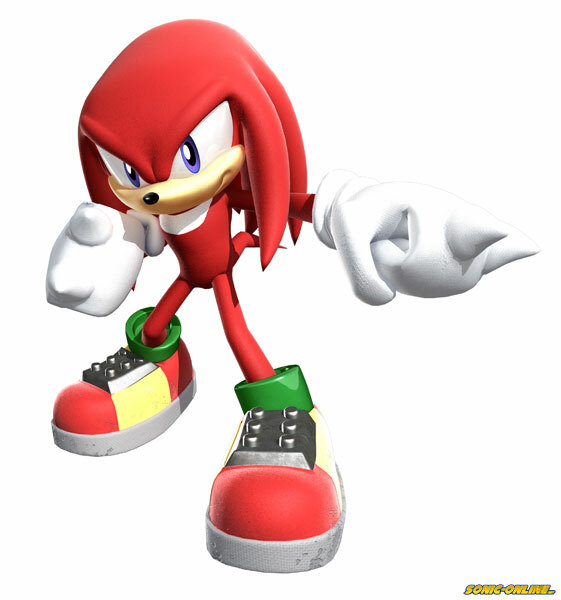 Echidna have short limbs, the front limbs have a broad claw designed for digging. Back limbs are smaller with a long curved second claw used for grooming. 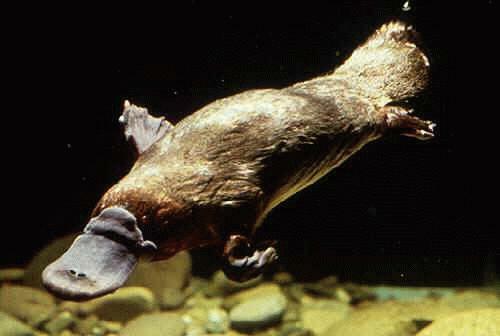 Echidna are part of the monotreme order which also includes the platypus (below). Monotremes are unusual as they are mammals which lay eggs instead of giving birth to live young. There are two types of echidna, the short-beaked (Tachyglossus aculeatus) seen above and long-beaked echidna (Zaglossus bruijni). 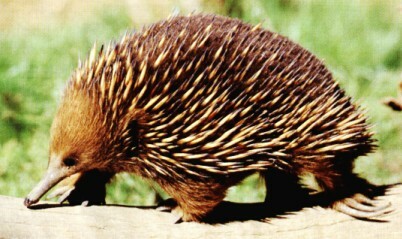 The short beaked echidna is found across Australia and in New Guinea. The long beaked is listed as endangered (IUNC) and can only be found in New Guinea. 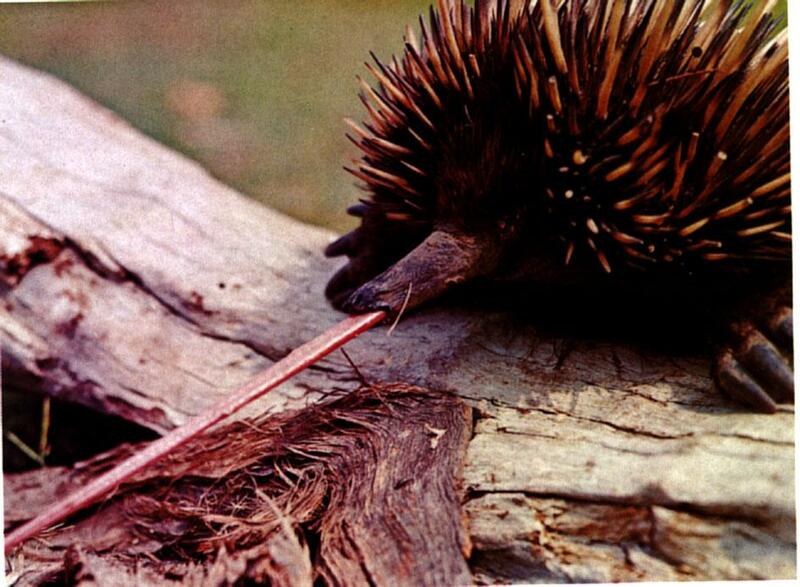 Echidna (also known as spiny anteater) have no teeth. The short beaked echidna dines on ants and termites with the ability to extend its tongue up to 18cm to reach its prey (left). The long beaked echidna prefers earthworms and has a specialised groove in it’s tongue designed to catch it’s wriggling prey. 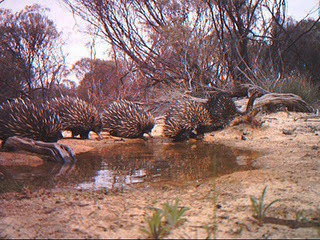 After waking from hibernation (February-June) echidna mate between June and September. During courtship the normally solitary echidna gather together and numerous males (up to 11) will follow a single female in a train for days in order to win her attention. After mating an egg the size of a grape, cream in colour with a leathery exterior is incubated in a pouch on the underside of the females abdomen for around 10 days. 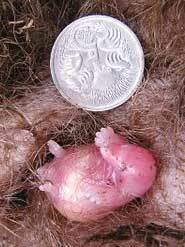 The tiny echidna is born without spines, weighing 0.3-0.4g and feeds from special mammary glands on the inside of the pouch. In the safety of the pouch the young feed on nutritious milk from the mother and grow rapidly. The young are evicted from the pouch after 45-50 days once they start to develop spines (that has to be painful!). The female digs a burrow underground to protect her young and between feeds seals her young in the burrow to protect it from predators. After about 5 and a half months the young emerge. Unfortunatly I couldn’t afford a trip down under to take my own pictures so this is a list of the resources I used to source some shots.